I like the Metro skin, but I really prefer the black start menu color that Windows 10 has with the default taskbar setting. So, I converted the Metro theme's colors to match (for Windows 7 start menu style only), and I have attached the skin here. 1) Enable "Show all settings"
2) Go to "Menu Look"
3) Enable "Override Glass Color"
I hope you will find this useful. Note that any skin mods such as this one which are based on the Metro skin and depend on the Windows 8/Windows 10 color engine will not work on Windows 7. Last edited by mrbumpy409 on Sun Jan 03, 2016 12:14 am, edited 1 time in total. I second the post above. I registered to say thanks. This is exactly what I was looking for as well, great job! Classic Shell with your skin is the perfect Start Menu in my opinion. Thanks, guys! I'm glad the skin works for you. Unfortunately, I had to go back to Windows 7 (couldn't figure out how to stop it from auto-upgrading to a bad driver). Hopefully you all will have better luck than I did. Thanks for the tip, mykou. I tried that suggestion before, but it still didn't stop Win10 from auto-updating my touchpad driver. I'm probably gonna stick with 7 for now, since my hardware works better with it. I'm not worried about it getting out-of-date, since I only boot into it occasionally for some music production and games. I use Kubuntu as my main OS. Great looking skin, thanks a lot! Hi I love this skin! Any chance you could make it for "classic with 2 columns"? I second the request for "classic with 2 columns" support. First, determining the color of the taskbar is not straight-forward. It depends on multiple registry settings and the behavior can change at any time. It gets even more complicated when you factor in transparency and things like high-contrast modes. That's not even counting other conditions, like different versions of Windows, and third-party software like Classic Shell and Start10. Second, you can't simply change the color of the start menu to be any color. The menu needs an entire set of colors for the background, text, various highlights and UI elements. Imagine if you pick white text on white background. It will be unreadable. I see that it's hard but isn't it somehow possible to get a look&feel like the native Windows 10 Start Menu? I'm talking about the "dark" color with accent only one some icons. I'm very new to the whole Windows 10 experience but I really like to get something "dark"/darker and I'm even ready to sacrifice the automatic changing of color with the change of the background and go with something black/dark gray all the time but still get transparency and when I say transparency I mean it for all submenus not only for the main one. 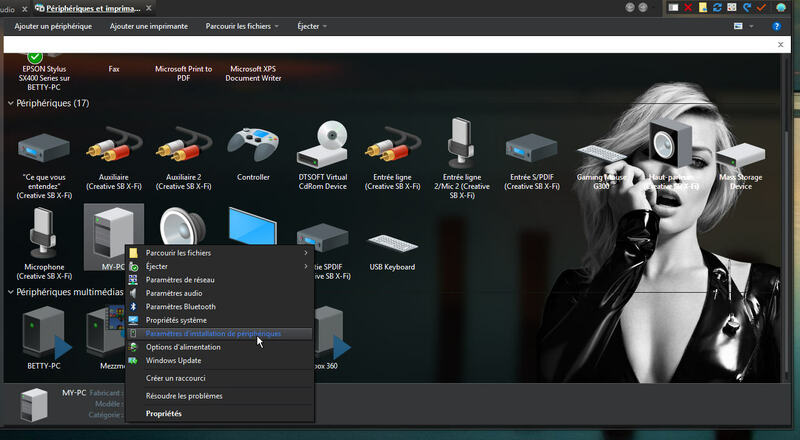 For example this skin looks great but the Control Panel or Shut Down or Recent Items when shown as menus are drawn in opaque black not as the start menu itself lightly transparent. Is this something I can change myself? I think that the closest thing is the "Smoked Glass" skin but with it's round edges it doesn't fit the whole edginess of Win 10 so it seems that a hybrid between it and the Metro skin is what I'd really like to use. Last edited by pankov on Mon Mar 14, 2016 2:25 pm, edited 1 time in total. If all you want is a dark skin for the Classic style, pick the "Smoked Glass" skin. Yes, I've been using it for quite some time on Win 7 but it doesn't fit the look of Win 10 and that's why I'm looking for something new - fitting the new style. I would like to help you. tint 1 & 2 & 3, and how to use them. I tend to run away from those skins. If there was a small guide added to the Metro colors sticky note, showing how to use the colors text, and describe the blue part, or rainbow colored bitmaps, we could all mod them. Like why does the tint not make the menu color darker? I was doing the cheating way of making 2 column, by renaming "Metro-Win10-Black.skin7" to "Metro-Win10-Black.skin"
Some things are screwed up, as it's not the proper way to convert a skin. It was working half ok. I started making some changes to have icon frames option reg, or bright. Took a screenshot, then made too many changes at once, and got the white start menu of death. I never made a back up. but to get rid of all the glass Metro color in blur transparent mode, would have to override color like mrbumpy409 recommends. The problem is the icon frame color would go back to grey. Lets hope mrbumpy409 comes back from other operating system and makes skin for you. Last edited by juniper7 on Wed Mar 23, 2016 4:12 pm, edited 1 time in total. Tint colors are easy. You know how you have the mask that lets you mix the glass color and the Windows menu color? Tints are just a generalization of that approach. So the mask has Red, Green and Blue channels. Tint1 is mixed according to R, Tint2 according to G and Tint3 according to B. You can use tints for two different purposes. One is to mix multiple colors, of course. The other is if you have a mask that has shapes drawn in its Red, Green or Blue channels. Then the tint colors will be used to draw those shapes. For example the Metro skin background has a thin red line between the columns. It is drawn with the Tint1 color, which is set to use the highlight color. The Metro colors are simply named colors that exist in Windows 8 and up. They are used to draw the Metro UI. You can change the color set from the Metro customization screen. The idea is that Windows creates an entire set that is guaranteed to work together. For example the text color must look good on the background color. I will have to reread your comments many times for it to sink in. I'm still inside the snow globe, not knowing there's a forth dimension outside. I can understand when the three colors are in a set like the scroll bitmaps, or a start button. So each color corresponds to rest, hover, pressed. going down the bitmap. What assigns the break point? Hmm, I just realized that's the 1 column bitmap, not the 2 column. Tint2= the green color that blends together, for the nice windows caption area gradient. I gather mrbumpy409 has stripped away the dollar sign "$ metro color", and resorted back to windows menu, Areo glass colors. Possibly because could not be figured out how to make the color darker, just like me. Now, I'm looking at the Win 7 metro bitmap mask 1. So the tint1 only applies to the red channel built in vertical separator. I would need to add a green channel on rest of the bitmap, to make a tint 2 blend, with an amount of 1 to 255. Then if I put this text, with the added tint2 referenced to black, it should mix and hopefully make darker? It appears to make it darker, yes. goes with everything. I do understand the fallback part. No more time until next weekend. ps The utility is easier to use from before. Basically that will mix the #SystemAccentDark1 color and #StartInlineErrorText color in a ratio about 50/50. The idea is to make the background for new programs a bit more yellow than the standard selection color. I'm putting this out there. Just in case people don't know about this, as I didn't know until Gaurav told me, a while back. You can use Win 7 style without the internal tree programs, and have the xp fly out programs menu. The settings are under "Main Menu" tab. Pick cascading submenu. If there is no response from from mrbumpy, I will copy the Win 7 style text and put it in the 2 column style. except maybe a couple of extra options, that can be turned on or off. here it is. Not compatible with Win7. but it's not fair skinjacking his creation. that can be turned off to get back to default mrbumpy's. By the way, those handmade icons in the screen shot, were made by Dave Stewart. Thank you Dave, from UK. They are not part of the skin. I included them in zip. I did put his magnifying glass and arrows in skin. Unfortunately he never made small, large, Hdpi icon sizes, only 24 pixel size. To stop them from distorting at 16 & 32 size, I made the icons show 24 size in the 16 & 32 size icon layers. coz the CSM selector is above the frames. I remember making a two tone skin to resemble that Windows10 look. It's just not worth it, for icon size and dpi has to be exact. Maybe Ivo can put some code in somewhere to imitate Windows10? Made submenu transparency option with just a little alpha transparency, to keep it looking black tinted. "Override glass color" and "Glass opacity". If you want the residual glass color to show through, disable Override glass color. Also factor depends on your personalize Windows accent color settings, picked, or auto. Also one more time, the pagers still have color. If you want it neutral grey, the ";" can be removed in the skin file to override. ps: I'm part Canadian. My words fluctuate back & forth between grey/gray, color/colour on a daily basis. By changing the Metro skin to darker color,(or lack of color). You have made a very popular skin. I'm sure it will fly past 1000 downloads soon. I put you up on the high plateau, with MPU. But, is it possible to have white Submenus... for the skin7 version ? Registered to thank you, mrbumpy409, for this skin!!! Kudos! There is a similar Win 7 skin, like MrBumpy black one. It is called "Metro color tool". It's a test skin that can be used as regular skin. Just set everything to "Application Text" black option, and set submenu on "System Text" white. and put accent color on the dark grey color swatch box. The default color button does not work anymore with latest update, (my crazy logic text). The other options should still work to make black. or any other.skin7, you could modify your own copy. Here is how. Open the .skin7 file with Resource Hacker. Copy all the text below and paste at very bottom of the skin script text. That below text should reset almost everything to get standard white submenu. Compile, save as "Some other name.skin7"
Last edited by juniper7 on Thu Jul 21, 2016 11:09 am, edited 1 time in total. Thanks for this skin, exactly what I was looking for too. This skin really makes my new windows 10 experience an epic one. I've looked into the skinning section briefly, but it is not really too obvious how to do little tweaks and changes. Could anyone give me a hint on how to change the color of the indicator that appears when you have new programs installed? I currently looks yellow-ish or slightly green-ish. I already found the info on how to open skin files with resource hacker etc. I just seem to be too blind to find the section where this color is defined. you will need to open up the text in the .skin7 file with Resource Hacker. Use the Classic Shell Utility to find a color you like and change the text tint1 color for any new selection. There are multiple lines that require changing. If you want a slightly easier approach, copy either the first group of text , or the second group and paste at very bottom of the text script. ;copy and paste below text. And faster than I'd ever hoped to recieve an answer. Works perfectly and suits my visual style like a glove (first color choice is already perfect). And it even taught me how to create options. This skin and juniper7's modifications have the potential to be the perfect skin for me....I actually want somehow to combine both the original skin concept with some tweaks from juniper7. I want the "devices and printers" shortcut, not just the printers, and I want the programs folder to expand inside the left column, not fly out Windows 95 style. Am I right to assume that the only way to get either or both of these things is to use a Windows 7 skin? The only thing I really want to add/change from mrbumpy409's skin is to add the white/monocrhome icons on the 2nd column for the Windows system folders/functions/settings. Is this even possible? Is there a way to toggle the 2nd column icons On inside the skin7 file? I don't think it is possible to have icons in second column of 7 style Classic Shell skin. That Tihiy guy at StartIsBack is a smart cookie, how he got it working on his version. The only thing one can do at this time with a skin here, is add a screenshot as an emblem of the icons. It would only be able to work as default look. Born that way, stays that way. I had started to make one with the glyphs, but got disinterested. If you are interested, I could work on it some more on the weekend? If I do finish it, it will be as simple as possible, with no entry changes available on second column. Last edited by juniper7 on Wed May 03, 2017 1:29 pm, edited 1 time in total. Here is screenshot of it at the stage I left it. As you can see the icons are out of alignment, and need work. I appreciate the offer to work on that....but it's okay....my motivation for those icons enabled was so that I could make my own icons for custom folders I put in the 2nd column....so it doesn't sound like I can do that anyway. Oh well, no big deal....and it must be StartIsBack where I got that idea because I was using that before Classic Shell....can't remember why I switched. And yeah, the least customizable when it comes to the second column. The glyphs are not separate changeable icons, just an all in one transparent picture. See picture. The selector can only work with white glyphs, for the selector is on top of glyph picture, instead of an icon on top of the selector. The reason I stopped way back then, was due to the person who made the glyphs only made one size, so only good for %100 size menu. I would have to make another picture strip for %125 and %150 sizes. I won't throw the skin in garbage can just yet. In fact I'm using it right now. Just a meaningless expression used at a time of being speechless, like a Tarzan yell. The menu. It is starting to sink in. This is not a start menu skin/theme you have been working on from the past, with a collaborator. Nope, it's written in C# (WPF). Hijacking? Ask Nimbi, or Weboh to move to chitchat. Last edited by Splitwirez on Wed May 03, 2017 8:50 am, edited 1 time in total. I'm going to release a 7 style glyph screenshot version of Mr bumpy's skin, in the next one or two days. I'm just sharpening up the Windows glyphs. It's a bit of a process, as far as I know, not possible for CSM to use them directly in a start menu. Copy glyph font character from Character map program into MS Word. Make screenshot and put in photo program. Invert image to make negative. Sharpen up the edges. Copy image & paste in alpha channel of Pixelformer. Make RGB channels white & crop. One done. Rinse & repeat to get the whole second column x 3 sizes, 100%,125%,150%. like transparent sub, glass sub, white sub, Metro arrows. What else? Will add lighter opaque dark grey main option. That's about it. Check back in a couple of days. UPDATE In case anybody wants the skin I was talking about with Spearoid, a few posts above, I finished it. Read below. I carried over features that were in the Classic 2 column skin. This version of mrbumpy409 skin has option to turn on glyphs screenshot on second column. Most of glyphs are from a font file in Windows 10, Dave Stewart's, or some made by hand. Have to stress, you can't change the way the second column looks. Positions stuck that way, can't customize it. Can only work at exactly 100%/96dpi , or 125%/120dpi, or 150%/144dpi. The glyph emblem is only a image of all the glyphs in one picture, not separate icons. The option can only be used when menu is set up with the default entries in the second column. It will go out of alignment, if not exact. set the link position below "Run" command with "Customize Start Menu" tab in CSM settings. there may not be enough padding at shutdown button. Pick "none" in this case. I included a default xml setup file. I changed the large icon size to 24 size for use with 100% menu size. This only affects column 1, not column 2. For 150% menu size, change to 36 large icon size. Menu shadow is turned off. I turned on "Overide glass color" setting to 404040 setting, in order to reduce the small amount of glass color. If you want that weak color, uncheck the overide box. I turned on "Downloads" glyph. If you don't want it, set Glyph folder to none, and turn off Downloads link in "Customize Start Menu." Skin is for Win10, appears to work on Win8. and because Win7 does not have a Metro "PC settings" link, glyphs are all out of wack unusable. I guess a different link could be set up to replace PC settings, but this plain skin does not match the look of the Win7 system, anyway. If you hate the game glyph link, not much one can do. I had to make mrbumpy409 selector more transparent, for the fake glyphs would be hard to see underneath. Thanks Mr Bumpy and cheerio. so is now User-Picture-Outside skin. U-P-O. Forgot to put metro search arrows in - fixed. Last edited by juniper7 on Tue May 09, 2017 10:22 am, edited 4 times in total. hi beautiful icons and wallpaper!! may i know where can i get them? Probably one of his themes. like deviantart, tenforums, or maybe as "The real Yoda San" on youtube. If you can understand Yoda San's French, looks like he is taking a break from it all. What you saw on screen is ont a background paper but a glyph within explorer window itself with my favorites themes ( full glass themes generally and glyph are some of my trademark ^^ ) . There are few people doing that over the net ( gsw953 surely is one of the most known for his beautiful themes ) and he posts them on deviantart , thing I don't for personal reasons. which looks to have a lot of potential. thanks for link , but I wasn't aware Splitwirez shared his work ( I know him from DA but never saw any release dedicated to 10 ) , does he ? I see in your start menu entries, there is Corel Paint Shop Pro. That sure has a great built in digital noise reduction filter. I use an older version X2. I ultimately aim to share just about everything, otherwise why would I make it? It is true that I don't build styles for Windows 10, however, a friend of mine by the name of devillnside has been working on porting my styles over to 10, so...in the end, you won't have to miss out. Also I've got Insiders testing the ((HECK)) out of Start9 on every OS from Windows Vista to 10, so you're covered there too. I really appreciate from someone who learned me about classic shell ! lol , I think we have something in common to be very demanding on our work and from what I already saw about yours , you have your own style and smart too . Oh yes I saw DevilInside work there or at virtualcustoms ; nice too , specially in theming windows 7 !